Set amidst three acres of lush tropical gardens on one of Barbados’s most picturesque and quietest beaches, this charming hotel blends the elegance of an English country manor with the beauty of Barbados. Forty well appointed suites are decorated in a typical English style with subtle Caribbean accents and the sitting rooms all open onto a private balcony or terrace. The award-winning restaurant looks over the azure waters of the Caribbean Sea and transforms from a casual lunch spot during the day into an elegant candle-lit restaurant in the evening. Facilities include a freshwater seafront swimming pool and a wellbeing centre, and complimentary tennis, waterskiing, windsurfing, sailing and snorkelling are all available. 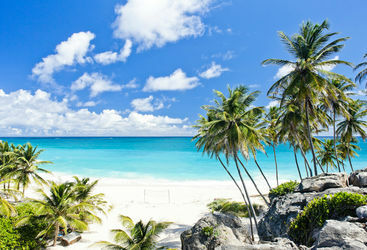 Cobblers Cove is one of only six hotels in the Caribbean to be a member of the prestigious Relais & Chateaux Group.